The paper propounds a concept of incorporating composite kernel methods with fuzzy-based image classifiers. The study incorporates noise classifier as a fuzzy classifier. 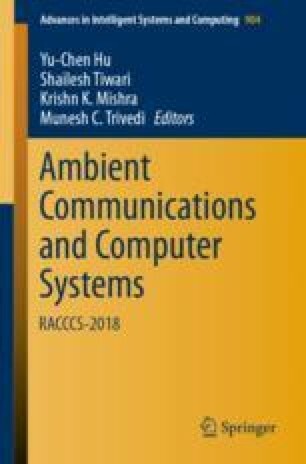 The work demonstrates how nonlinearity among the different classes of remote sensing data with uncertainty is handled with noise classifier without entropy (fuzzy classifier) using composite kernel technique for land use/land cover maps generation. It also showcases the comparative study between the performance of Noise Classifier with Euclidean Distance and Noise Classifier with Composite Kernel functions. This study has incorporated the composition of two prominent kernels: Spectral and KMOD Kernel. The performance of both the classifier is evaluated in supervised mode and, image-to-image assessment of accuracy has been carried out using FERM (Fuzzy Error Matrix).